Are Prince William and Kate trying for a baby? 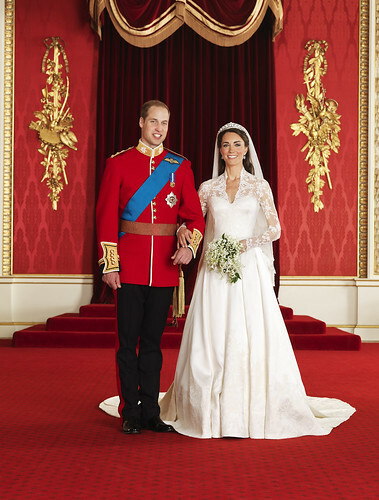 We came across an interesting article in Vanity Fair which is reporting that Prince William and Kate, the Duke and Duchess of Cambridge ate an interesting combination of Brussel Sprouts and cream cheese during their honeymoon in the Seychelles. Why is this important? Well, full fat dairy products are supposedly better for women who want to get pregnant and Brussel Sprouts are high in folic acid, which apparently aids in fertility. Is there any other reason why you would want to east such a food in an island paradise? Meanwhile, the Royal family including The Queen, Prince William and Kate were out in force yesterday at the Epson Derby to watch the Queen's horse, Carlton House race. Sadly the horse came in third and there were some unhappy faces among the Royal Family but the Queen in particular looked rather bemused as can be seen in this photo taken by Matthew Lloyd/Getty Images.